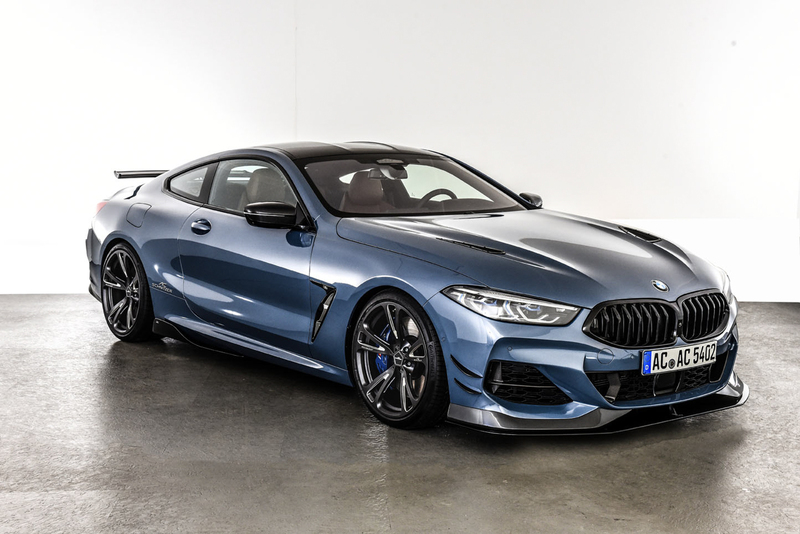 When AC Schnitzer unveiled their take on the BMW M850i xDrive, I have to admit I was impressed. The German tuner is known for its more conservative takes on modern cars, sticking to its guns and designs from decades ago. In this case though, they went a step further and gave the 8 Series a bit of everything, from a more aggressive styling to more power and a meaner overall demeanor. This stunner then made its way to the Essen Motor Show where it celebrated its world premiere. The video below shows the car at the AC Schnitzer stand at one of the biggest motor shows dedicated to tuners around the world. The fact that it’s dominated by German tuners is understandable as this is their home turf. Getting back to the car at hand here, it definitely looks absolutely stunning and, in case you were waiting for the M8, this ACS8 5.0i model could very well work as a surrogate in the mean time. As you can observe, the tuned M850i comes with a couple of aerodynamic tweaks, all made of carbon fiber. You’ll notice the spoiler up front along with the side canards, the bonnet vents as well as the huge wing at the back. The tuner also put in a modified suspension comprised of a spring kit which lowers the car by 20-25 mm up front and 10-15 mm at the back. You can also tune your car’s interior thanks to aluminum pads but that’s definitely not the highlight of this build. The biggest news comes under the hood. As I said, you may very well use this as a surrogate for the real-deal M8 as the engine has been taken from 530 HP to 600 HP and from 750 Nm (553 lb-ft) of torque to 850 Nm (586 lb-ft), numbers already better than those of the M5. 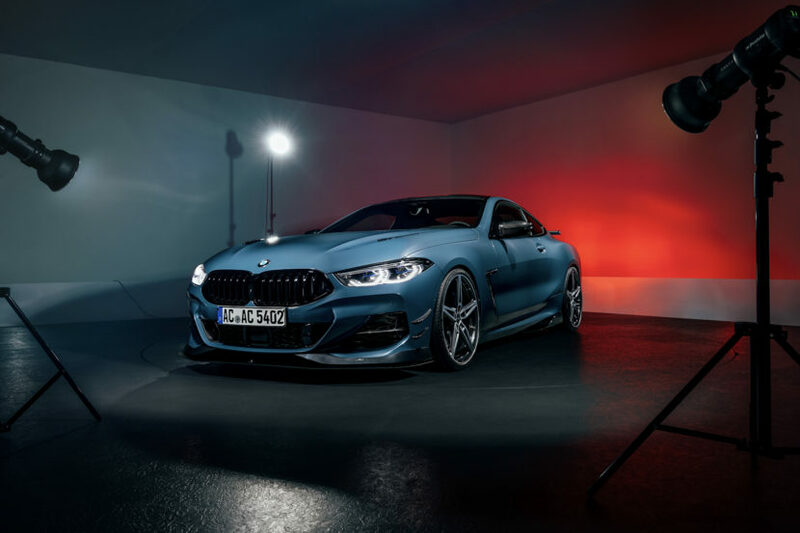 Combine that with the all-wheel drive system and the 0-60 mph sprint should be seriously lower than the 3.6 seconds of the standard car, even though AC Schnitzer didn’t provide an estimate just yet. Previous post Coolest police car in 2018? Welcome the AC Schnitzer BMW i8 Polizei!